The National Oceanography Centre (NOC), the United Kingdom’s centre of excellence for oceanographic sciences, works with SPARUS II as one of their software-testing platforms. One of the main features of IQUA’s platforms is that they have an open conception, both in terms of hardware (reconfigurable) and software (using ROS operating system). 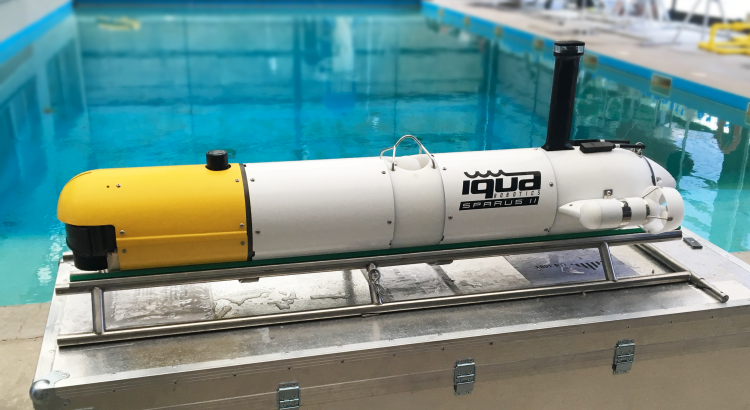 These characteristics brought the Marine Autonomous and Robotic Systems team at NOC to acquire a SPARUS II platform to be used as a testing platform for their software. In the last months, the team of engineers at IQUA has developed a tailor-made payload for NOC’s SPARUS II, integrating the NORBIT WMS-FLS according to the customer’s needs. This forward looking sonar will be used by Autosubs in challenging applications such as under-ice missions. SPARUS II will be used as a software-testing platform for the testing the algorithms and deciding the best sensor configurations and control strategies. NOC undertakes world leading research in large scale oceanography and ocean measurement technology innovation. They work with Government and business to turn great science and technology into advice and applications. The NOC supports the UK science community based in universities and smaller research institutes with scientific facilities, research infrastructure and irreplaceable data assets – enabling the UK to harness the full power and diversity of its scientific talent in ocean science. Parc Científic i Tecnològic UdG, Edifici Giroemprèn. Pic de Peguera, 11, 17003. Follow our newsletter and receive notifications by email. © Copyright IQUA Robotics, 2016.